A daily rundown of the key developments as Britain starts out on the long road to leaving the European Union. Non of the drama – all of the facts. WTX News Brexit Briefing brings you all the best articles from around the world. You get the UK perspective and the latest on the what the Europeans and Americans think. We have it all in one place; We call it perspective! All the latest news updated 24 hours a day as it breaks. When did the UK Join? Once the withdrawal agreement gets the nod, the transition period will mean no huge changes between the date of Brexit and 31 December 2020. Keep following the Brexit Briefing and will we will tell you. Chancellor Philip Hammond has said it is time to take Brexit off the table. Suggesting Time for a second referendum. UKIP have dismissed this as a vehicle to get Farage re-elected. Ipso found that Boris Johnson was wrong to claim there was polling evidence that a no-deal Brexit was the public’s preferred option, the press regulator has ruled. A fact that he had made up to rally support for a no deal brexit, in his column for the Telegraph. Ipso ordered the Daily Telegraph to print a correction. It is time to get Brexit "off the table" so that Britain can focus on other issues, the chancellor has said. Brexit Guide - The German/EU perspective - where are we now? Take a breath. That was more or less the prime minister's message to MPs in the Commons today. The latest on Brexit …..
As things stand, the UK is scheduled to leave the EU on 12 April. The UK cannot make a decision about extending Article 50 on its own – it needs the agreement of all 27 other EU countries (EU27). The Prime Minister still believes that her Brexit deal has merit and has refused to scarp it. In fact she is adamant that it will make part of any negotiations with the Labour party. The EU is closely watching the indicative votes process in the UK parliament today. EU leaders would, of course, welcome a softer Brexit. Theresa May will seek an extension to to the Brexit deadline beyond April 12th but aiming to be before the EU elections at the end of May. After a marathon cabinet meeting which lasted longer than 8 hours, we have a Brexit stalemate. The Prime Minister has however reached out to Jeremy Corbyn as a last resort, to find some common ground that the parties can push through parliament. Jeremy Corbyn has pledged to honour the Prime Ministers invitation and try to find common ground to make Brexit happen. Brexiteer ministers who have said they would quit if the PM pursued a customs union were yet to resign last night with the final Brexit outcome still unclear. Today, the cabinet will be meeting again to decide how to proceed. The EU’s chief negotiator has said a no-deal Brexit is now more likely but can still be avoided. 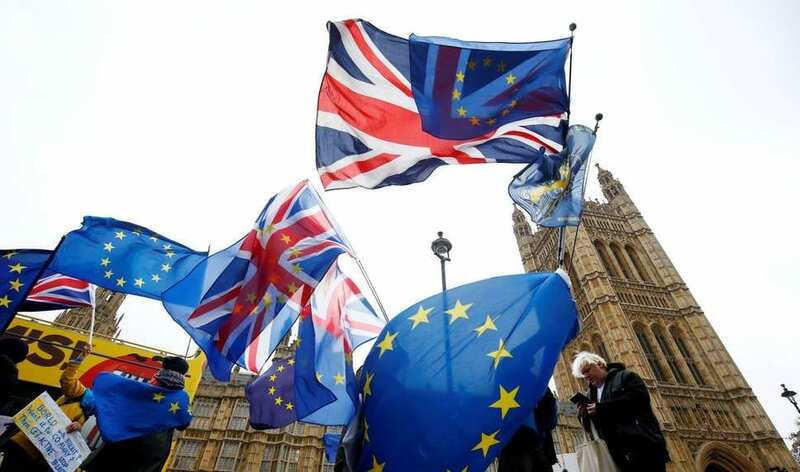 A cross-party group of MPs has put forward a bill to prevent a no-deal Brexit in law. Theresa May’s cabinet has considered plans to “ramp up” no-deal Brexit preparations. A snap general election was also discussed. On Tuesday, the cabinet will be meeting again to decide how to proceed. Conservative MP Nick Boles made a dramatic announcement – saying he was leaving the party because of frustration about its inability to compromise. His motion, dubbed Common Market 2.0, gained the support of Labour and the SNP, but was still defeated by 21 votes. MP’s will stage the next round of so-called indicative votes on alternative plans for Brexit by once again seizing control of parliamentary time from the government. Four options will be chosen by the Speaker to be voted on Monday. Theresa May confirms that she is “prepared to leave this job earlier than I intended” to “secure the right outcome for our country”. PM Theresa May has managed to gain some more support for her Brexit proposal, but we aren’t any clearer as to what will happen. Her pledge has brought some MP’s on-side, such as ex-foreign secretary Boris Johnson. Boris Johnson has demonstrated that his loyalty is to the top job, not the deal itself. His support for the PM’s proposal is solely resting on the fact that she will resign, allowing him to mount a challenge for the leadership of the conservative party. The Prime Minister has been persistent in trying to push her deal through. She is convinced it is the best option we have. Speaker of the House John Bercow warned the Prime Minister that she must present a significantly different version of her previous bill – in order to be put to the vote. The political declaration, which sets out the future relationship, is not being voted on as part of the same deal. Instead MP’s will vote on part of the deal, with the rest to be negotiated later. Get a daily rundown of the key developments as Britain starts out on the long road to leaving the European Union. Non of the drama – all of the facts. WTX News Brexit Briefing brings you all the best articles from the world. You get the UK perspective and the latest on the what the Europeans and Americans think. We have it all in place, giving you perspective.